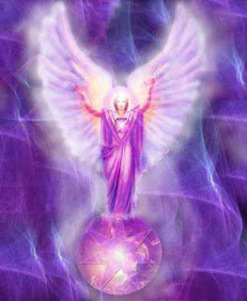 Greetings all, I AM Archangel Zadkiel, a keeper of the Violet Flame, and I hold you in my flame as I deliver my message to you. In the hush of your energy now comes much transformation and truth. In the sustainment of truth comes true wisdom for all to perceive and convey. It is with utmost pleasure that I come in now to deliver immense truth and transformation for your continual evolvement and ascension. 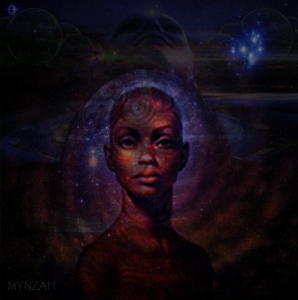 Many of you are discovering that you are bereft of understanding of where all this energetic transformation is leading. You are left to your own devises to discover the truth. And that is the name of the game, dear ones. That is the energy of the Now, dear ones — Grasping and holding the energy of your own truth. One of the common threads in the wisdom traditions of the world is the special place of the Divine Word in the creation theories. In this context, the sound archetype HU is particularly fascinating. It permeates the spiritual traditions of the Near-Eastern cultures. One can also find many examples of HU in the Indo-European languages. HU is one of the three primary sound archetypes of the Near-Eastern cultures along with YA and RA. For a general introduction to sound archetypes please see the article “Sound Archetypes” . Origins of sound archetypes go back to the Paleolithic period when all humans were hunter-gatherers. In this long period humans were closer to nature and their understanding of the “sacred” was very different from the current understanding of the sacred in the western culture. The sacred concepts in the form of ancestor spirits, first hunter spirit or the animal spirits were part of their daily lives and dreams. They communicated with these spirits in their dreams. Their self-consciousness and intellect were not as developed but their minds processed the symbols much better than us. They were myth-makers; they needed myths to survive and to understand the world around them. As part of the myth-making process, they communicated through symbols. The night of my spontaneous Kundalini Awakening a friend had come over to my house to spend the weekend with me. She had brought, food, clothes and some alcohol with her, I don’t drink alcohol now and really didn’t drink it then but intended to since she had brought it. I joked around with her about all of the stuff she had brought because it looked like she was moving in with me. I asked her about the big bottle of vodka she brought and she said, “If you smoked marijuana I would have brought that”. I didn’t smoke marijuana at that time either and it had been over 10 years since I had.